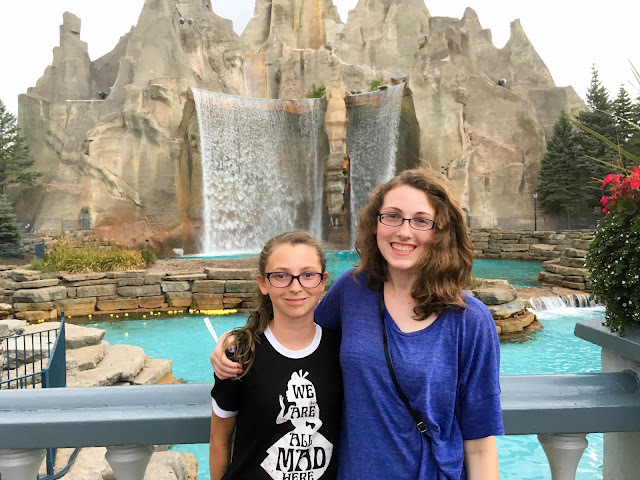 Continuing on with our Canadian vacation, as a family of theme park lovers, we HAD to stop at Canada's Wonderland. 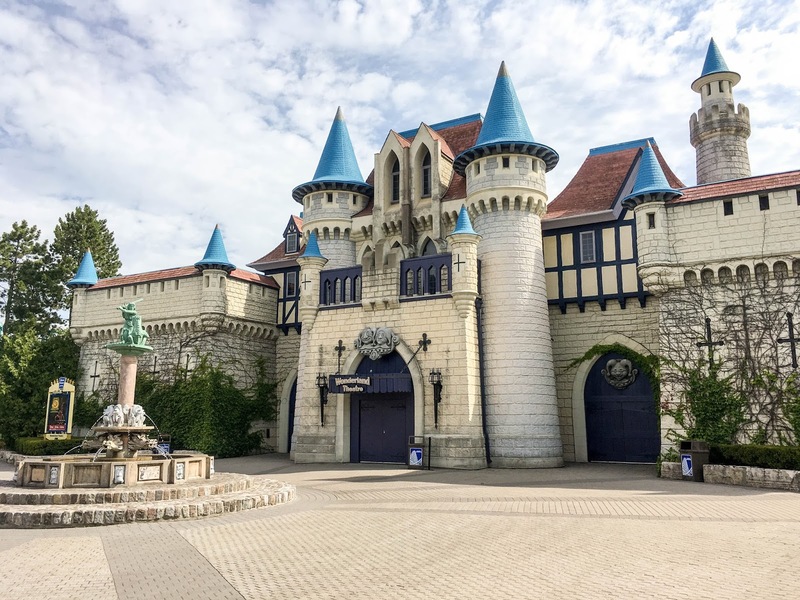 Sister park to our all time favorite theme park, Cedar Point, we were curious how the two would compare. To get it knocked out of the way, first thing we decided to do was hit up one of their two main roller coasters, Leviathan. While it was a super fun ride, comparable to Cedar Point's Gatekeeper, it left Jason and I feeling a bit disappointed. After riding much bigger and thrilling coasters at Cedar Point, we figured if this was all they had to offer in way of coasters, we were done riding for the day. We decided to get the girls fast passes so they could ride all they wanted while we explored the rest of the park. If you want a fast pass, get it right when you first come in. We only found one kiosk selling them with one worker running two super long lines. We waited almost 30 minutes just to get them. I felt I needed a fast pass just to buy a fast pass. It was utterly ridiculous how long it took to get one. 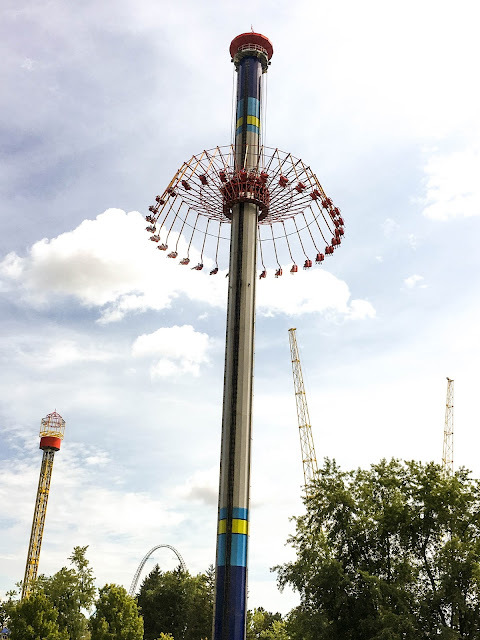 They did have a wooden coaster and a few other rides like Cedar Point's Windseeker and Max Air (Psyclone), so the girls were thrilled to ride some old favorites. Thankfully, the other attractions did make up for what they were lacking in rides. 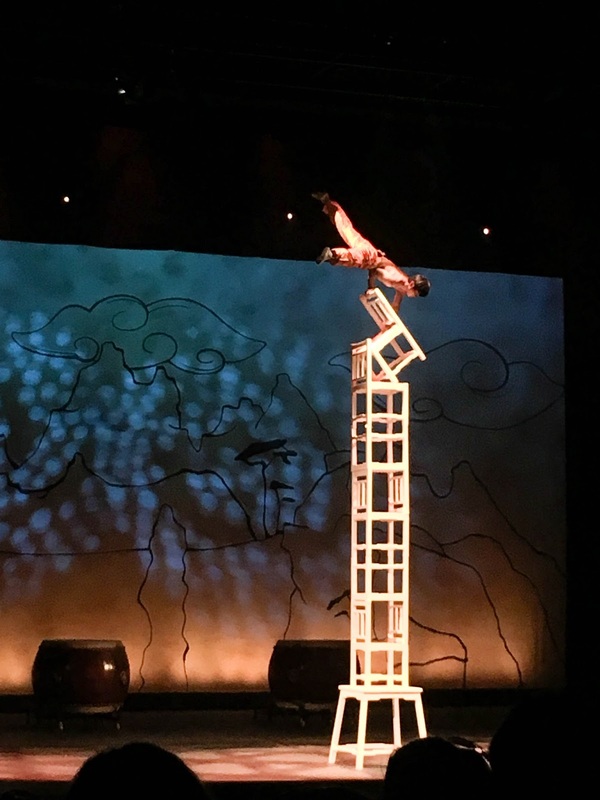 It was a bit hot the day we were visiting, so we found some relief in the theater where we were able to catch a free acrobatics show. 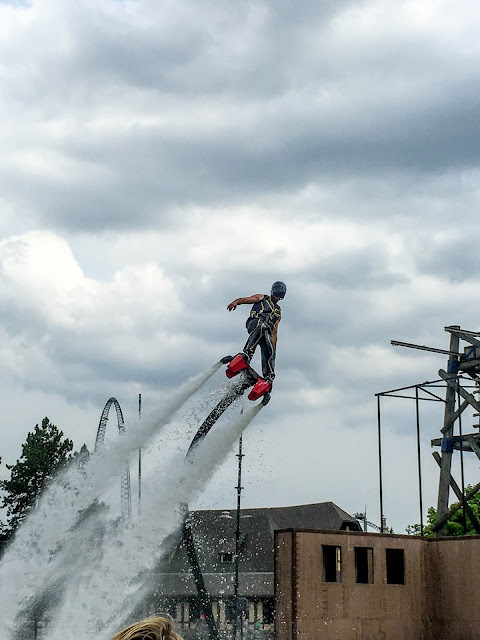 Additionally, they have another acrobatics and water show outside during different times of the day. Another thing we found a little disappointing was their souvenirs. We stopped in every gift shop and it seemed they were hawking crummy superhero junk. We collect magnets from all of our adventures and not a single shop there had one that said Canada's Wonderland. Actually, they didn't have much in the way of souvenirs with their name on it. Just stupid comic book character items. For a company that's affiliated with The Peanuts characters, they didn't even offer much in that department either. Feeling a bit bummed, we left empty handed with no souvenir to take home. 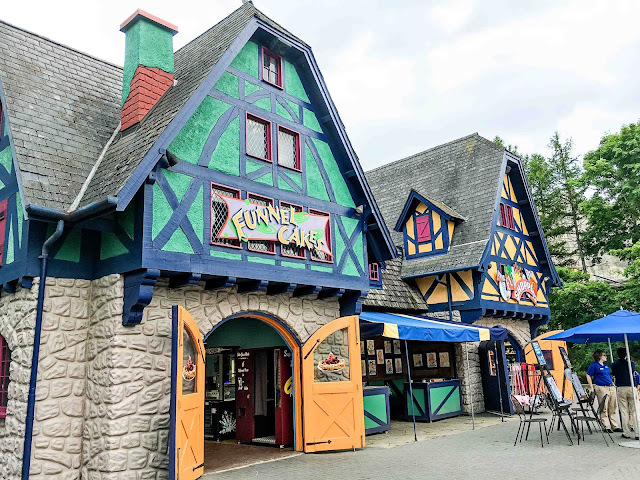 We did stop at one of their many eateries and drowned our sorrows in a delicious funnel cake, which perked our spirits back up. 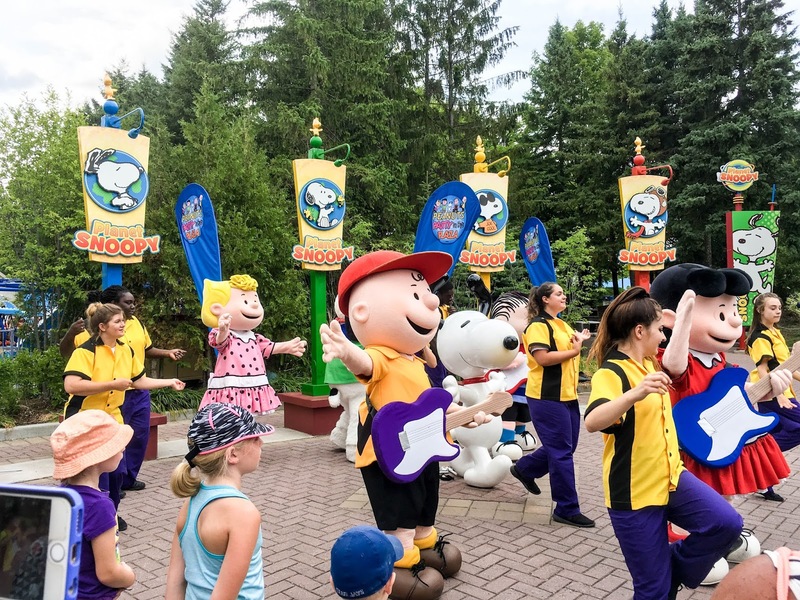 Since they are part of the Cedar Fair family, The Peanuts theme is peppered throughout the park, just like at Cedar Point. We found their Planet Snoopy very comparable to Cedar Point's Camp Snoopy, but Canada's Wonderland won it for me when I saw they had a Great Pumpkin Patch ride! Seriously, for any Charlie Brown fan and Halloween junkie like me, this attraction is the bee's knees! You can meet and greet with your favorite Peanuts characters in Planet Snoopy, per their designated time slots, or you can meet with Snoopy several times a day at the front of the park after he is finished conducting his water symphony. 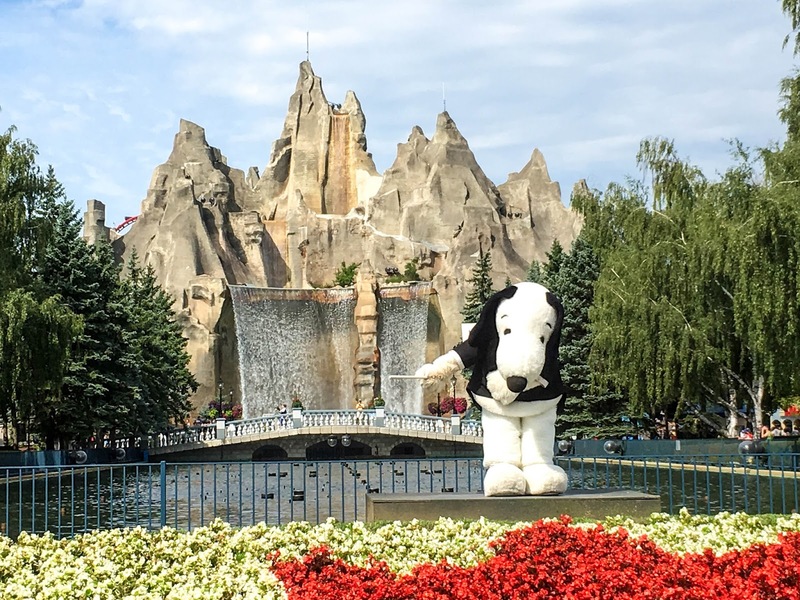 The waterfall behind snoopy is where they put on a dive show. It's quite exciting to watch a team of divers jump off the edge into the water below! It's also a beautiful spot to stop for family photos as well. 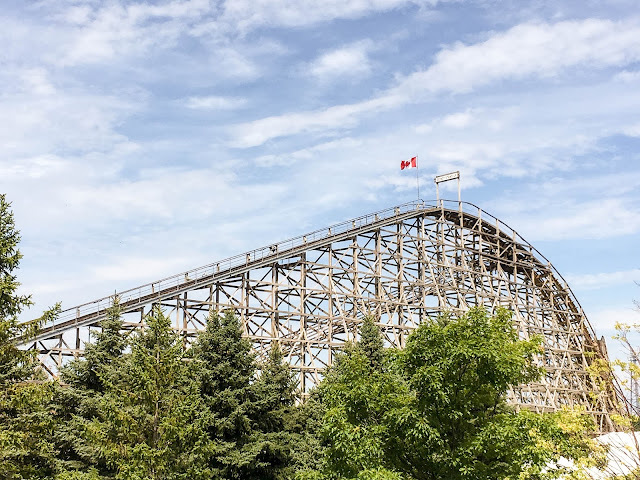 If you are a theme park lover and are traveling through Canada, I'd recommend a stop. However, if you spent every summer at Cedar Point when you were growing up, you will find the park lacking where rides are concerned. There really is no comparison. 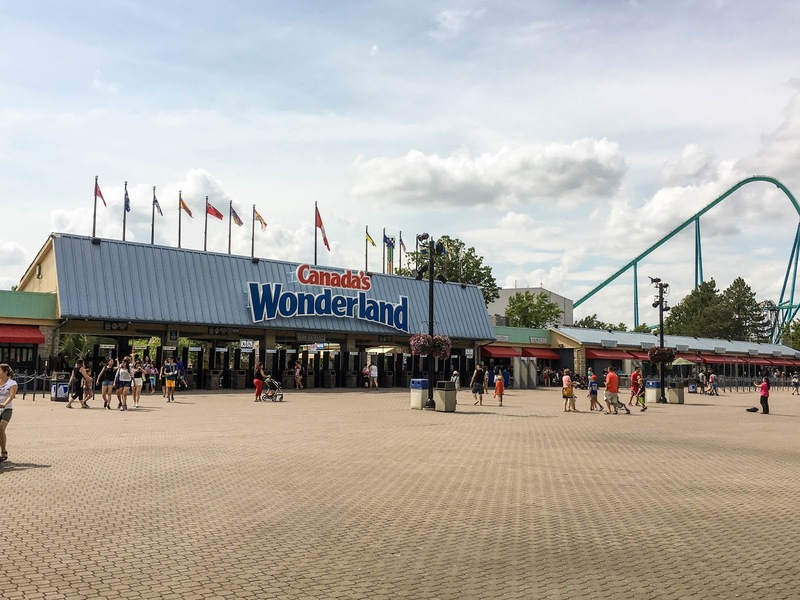 Cedar Point blows Canada's Wonderland right out of the water. However, it was a nice way to spend the day, and the girls did get in their theme park fix before summer's end, so it wasn't a total bust. Do you prefer rides or shows when visiting theme parks? I'd like to see that water show! I know a few people that LOVE the Peanuts characters. They'd totally get into this place. I don't think I'd ever go on a coaster, but I would visit that castle and the lil' village! I'd prefer more rides than shows. So Cedar Park would probably be the winner for me. Haha the Halloween Nazi found the ride of her dreams. I LOVE Canada's Wonerland. We go there as often as we can. It's our favorite place to go. I love snoopy! I would love to visit here. I like both rides and shows at theme parks. That looks like it would be so much fun! I love going to parks like this with my kids! I haven't been to Cedar Point in ages. The lines... no thanks. I haven't been to Canada in a few years despite having friends that just live right over the bridge. I need to make some time. Oh how fun! I love all of the Peanuts characters. My family would love this. I've been to Cedar Point but I didn't know about Canada's Wonderland. The dive show sounded pretty cool! Oh my this looks like the most fun! I would love to take my family to Canada's Wonderland. We'd love to watch the acrobatic and water shows and visit Planet Snoopy. We like the rides and the shows when we go to an amusement park. With roller coasters like those, I'm sure my kids will have a great time here. I love that there's so many things that you can do. It sure makes a good stop! What a cool place to take the family! I think the Leviathan looks terrifying! I SO wish I could go there! My husband and I adore theme parks as well! Wow! That was an awesome place! My aunts and uncles lived in Canada for 3 decades and I would love to visit them. Wow, this is a real wonderland. I wish I can go there one of these days, it would be a lovely trip! I've found that if you've been to Cedar Point, you actually find almost any amusement park lacking in rides! It has so many roller coasters. This looks like a cute place to spend a day if you happen to be near by, though. This girl loves roller coasters. 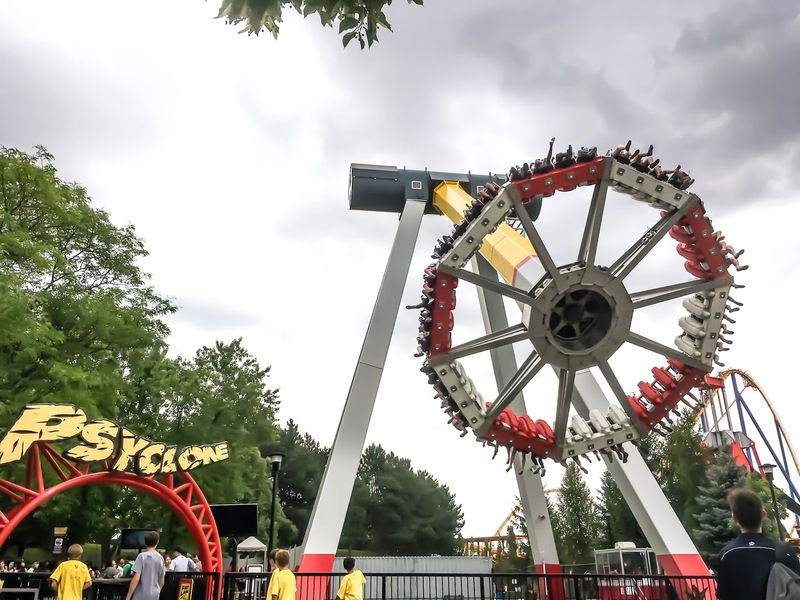 Canada's Wonderland look likes so much fun! 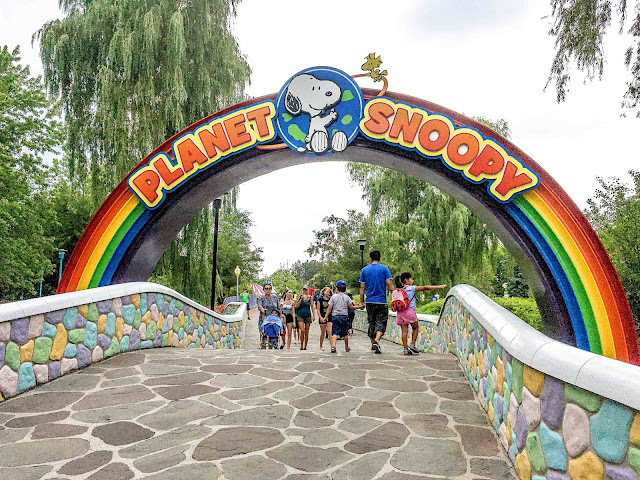 My little ones could check out Snoopy & I could ride them over and over. Holy crap. This place looks absolutely amazing!!! I want to go here now. My kids still should go to a theme park. We were going to go to one this year. This is how it went down: The waterpark in KC where we were going to go had a kid that was Mica's age get killed. There was something wrong with the net on the fastest/tallest waterslide in the world. I wouldn't have let Mica on that thing even if we went there before the death happened. At home at a carnival a girl got her hair stuck in a ride. It ripped her scalp off. Most normally I'm not big on rides, but have let my kids go on them at The Navy Pier in Chicago. When all this went down in 1 summer I just couldn't stomach it. I sort of lost my sense of adventure with rides. It's too bad because I know a lot of people have fun on them. My kids included. Maybe next year I'll be better about it. I remember the water park one. I wouldn't have went on that thing either before the accident. I just don't like rides like that. As I get older, my sense of adventure is really starting to wane as well. Sometimes when we go, I prefer to stick to the smaller rides, but the girls really adore those big, fast coasters. 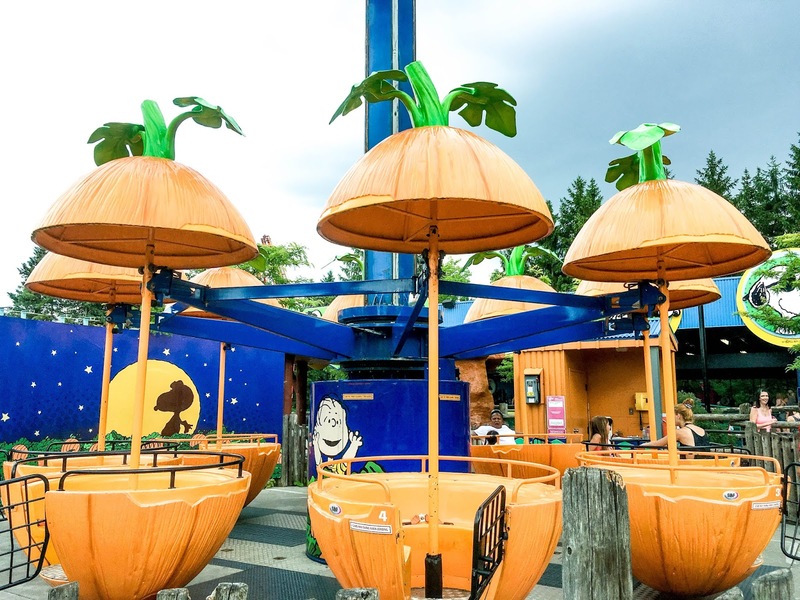 Ha that pumpkin patch ride is awesome!!! And you already know how I feel about Cedar Point, I love that place!! I definitely prefer rides to shows haha. 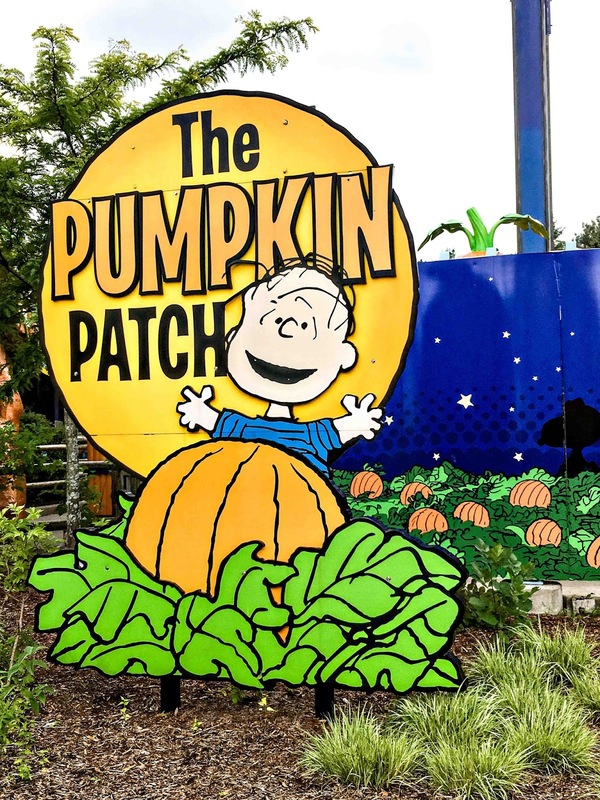 We usually only go in to watch the shows when we need a rest or cool-down from the hot weather :P I love the pumpkin patch ride too!! So cute!